Live Chat	is ready to help you get the answers you need. Live Chat	will reply to your questions about Get extension name	shortly. We appreciate your feedback about your support experience with Live Chat, developers of LiveChat for WooCommerce. This helps us maintain high standards on the WooMarketplace, and helps Live Chat improve. Glad to hear it went well with Live Chat. Tell us more. Did Live Chat get back to you? Do you have any additional feeback for us or Live Chat? 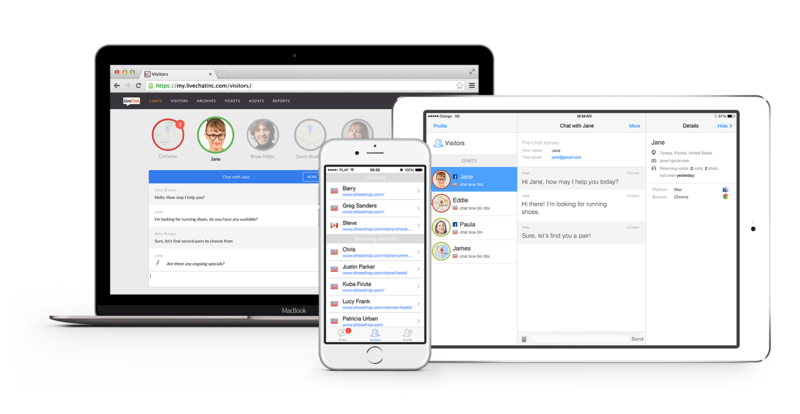 LiveChat is a live chat application for customer support and online sales; designed to help businesses manage communications and interactions with customers. The way it works is simple: you add live chat to your website, wait for your visitors to ask a question or, alternatively, approach them with chat invitations. For you, it means more satisfied customers, more resolved problems, and more sold products. With live chat for WooCommerce by LiveChat, you can engage customers while they are on your website, see live interactions with your pages and move your customers through the purchase process. Plus, it makes customer service more efficient by letting you hold multiple live chat sessions at the same time, send canned responses to frequently asked questions, add chat tags, see transcripts of past conversations and send files to customers through the live chat window. When you go offline, your live chat widget is replaced with a ticket form. It means that visitors can still leave you questions as tickets. 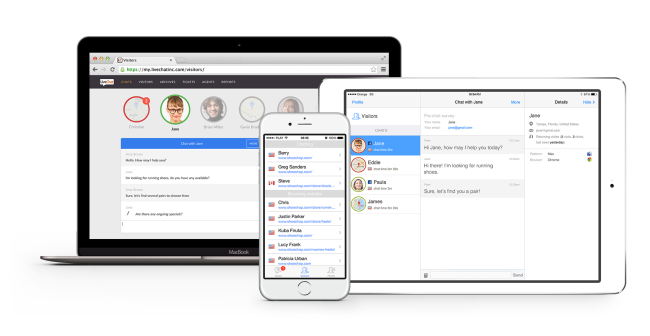 From email marketing to social, LiveChat integrates seamlessly with a range of popular third-party apps and services, such as Facebook, HubSpot CRM or MailChimp. 1. Click DOWNLOAD NOW to download the zip file. 2. Navigate to: WordPress Admin > Plugins > Add New to upload the file you downloaded with Choose File. 4. Set up a LiveChat account or log into an existing account. The plugin is free, but you need a license of LiveChat to work with it. LiveChat comes with a 30-day trial, allowing you to enjoy the service with no obligation to buy.